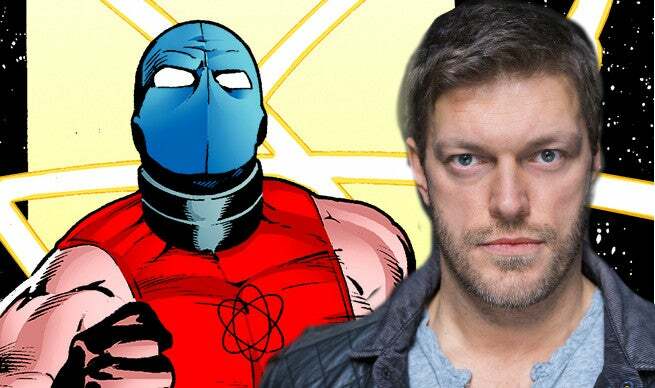 The upcoming, second season of The CW's The Flash will feature former WWE Superstar Adam Copeland as Atom-Smasher, ComicBook.com has learned and CW has confirmed exclusively. "One of the most powerful enemies we encounter this season, Atom Smasher has come to Central City to kill The Flash. His incredible strength and ability to grow to enormous size makes him more than a match for Flash and the entire S.T.A.R. Labs team will have to come together to find a way to defeat him." In the comics, Atom-Smasher is a hero. Al Rothstein, grandson to the villain Cyclotron, is godson to Al Pratt, the Golden Age hero known as The Atom before Ray Palmer took on the name. Prior to becoming Atom-Smasher, Rothstein operated as Nuklon. During The Flash executive producer Geoff Johns' time on JSA, Rothstein briefly took on a vengeful and unhinged personality following the murder of his mother, eventually traveling back in time to save her. That storyline seems like it has a lot of potential given the over-arching story of The Flash last year. At Comic-Con International: San Diego last weekend, producers said that while the particle accelerator explosion had been the main source for introducing powered characters in the show's first season that it would be Earth-2 providing many such characters this time around. It stands to reason that Rothstein's connections to Earth-2 staples the JSA and Infinity, Inc. will be explored. That Rothstein was one of a number of DC characters named as having died during the particle accelerator explosion -- a list that also included Ronnie Raymond, who later returned as Firestorm -- also throws into question whether we might see some of those characters re-emerge as their superheroic selves soon. The Flash returns to Tuesday nights at 8 p.m. on The CW in October.